While we’re visiting Costa Rica, I decided to take advantage of the superb produce here to make a chunky red-pepper sauce for the family. 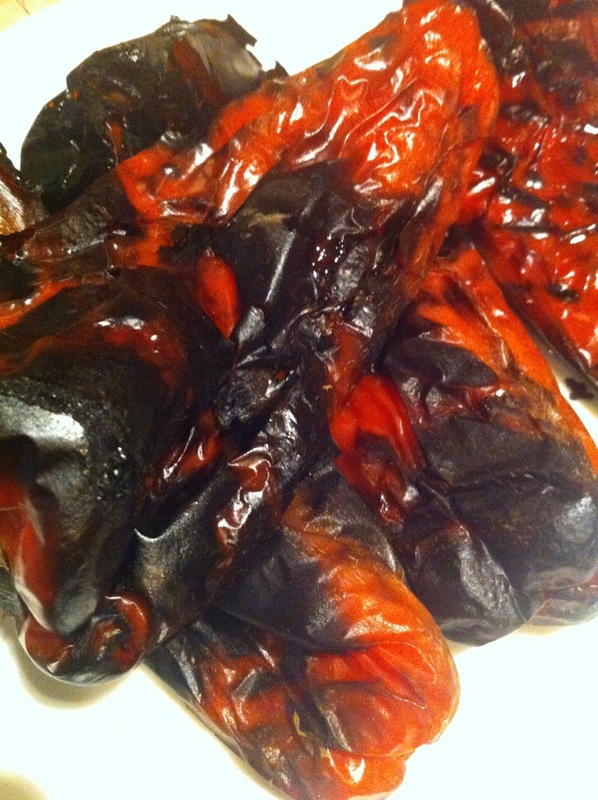 – roast the red peppers on high heat on an outdoor BBQ until black and charred. let sit to cool on a plate or a sealed paper bag – about 10 minutes. – remove the charred skin, separate and remove seeds from inside; chop off end and either compost or discard the unusable portions. cut into chunks and place in a blender or food processor with a pulse feature. – sautee garlic in EVOO on medium-high heat until golden. add to blender. – squeeze the juice of one lemon in the blender; add salt and pepper and pulse until chunky-smooth. – adjust the salt, pepper and lemon to taste. Serve on salad or spread on sandwiches!